Truth, is really an incredible thing. It is the substance of honesty. And, honesty is, arguably, the most difficult policy to imbibe. It's often difficult for people to tell the truth (speaking from experience). A lot of times, people do not tell lies merely because they enjoy it, but because it is a much easier and simpler thing to do. The truth sometimes, has this weight attached to it; that sort of hangs about your neck. Even on trivial issues, this weight is there. One reason for this weight is 'gravity'. Most of us grew up knowing and associating truth with 'grave' situations. For example, some amount of money was stolen - a grave situation, we're then called to tell the 'truth'. Thus, subconsciously, we attach this 'gravity' to truth. We see truth as something reserved for the serious and grave. And this lends a 'heaviness' to 'truth' that hangs over us. Lies, however, do not come with this weight. Though we're punished for lying, the weight still lies with truth in the sorry fact that, due to our erring natures, the truth is often 'what we, or someone else, has done 'wrong'. It is the truth that brings punishment, in this: "if they don't know the truth, you didn't do anything wrong". As a result, many people have observed they don't tell the truth unless they need to, or they tell lies when they do not need to. Now, the issue here is understanding the 'gravity' of truth. It is an indeed admirable quality when a person is capable of telling the truth, to all people, and at all times. But whether this is really good or fashionable is debatable. We know sometimes we have lied to avoid unnecessary questions, to avoid putting ourselves in trouble (with people who do not appreciate truth), because we do not want to reveal something we consider private or personal, or because we do not want to give away someone else's secret, or because we do not see the person lied to as worthy of being told, or of handling the truth. Now do not get me wrong. I'm not trying to make any excuses or give any justifications for lying. I'm just saying that in our numerous endeavours, we have all lied for reasons best known to us, and reasons that differ from the warped fact that we enjoy the art of lying. I'm not sure anybody does. Maybe some people do. But those are not my concerns now. My concerns are about you. You who do not like being lied to. You to whom honesty is a wonderful, commendable and noble quality; to whom lies leave a painful feeling of disgust. You. This question might be seen as baseless and irrelevant by some people; mostly people who feel truth is something one is not supposed to ever betray for any reason; people who think humans are machines, or not, but feel it does not matter what has happened to our conceptions of truth - that truth is truth and that is that. If you're that person, the rest of this article will be nonsense to you. But if you realize that the truth is really not an easy thing to dish out, when and when not necessary; and if honesty is an important thing to you, then you might want to answer that question above. The appreciation of truth may be simpler or harder than telling the truth itself, depending on the situation and gravity. But in almost all cases, appreciating truth when it is told fosters and strengthens the world of honesty that you and the teller share; indeed, the world of honesty at large. Often times, we find that people close to us lie to us on certain issues. Not that they don't value us or think us undeserving of truth but unappreciative of it. "You and I both know how difficult it is to tell the truth. I battle with the weight and decide to tell you the truth and you don't appreciate it". 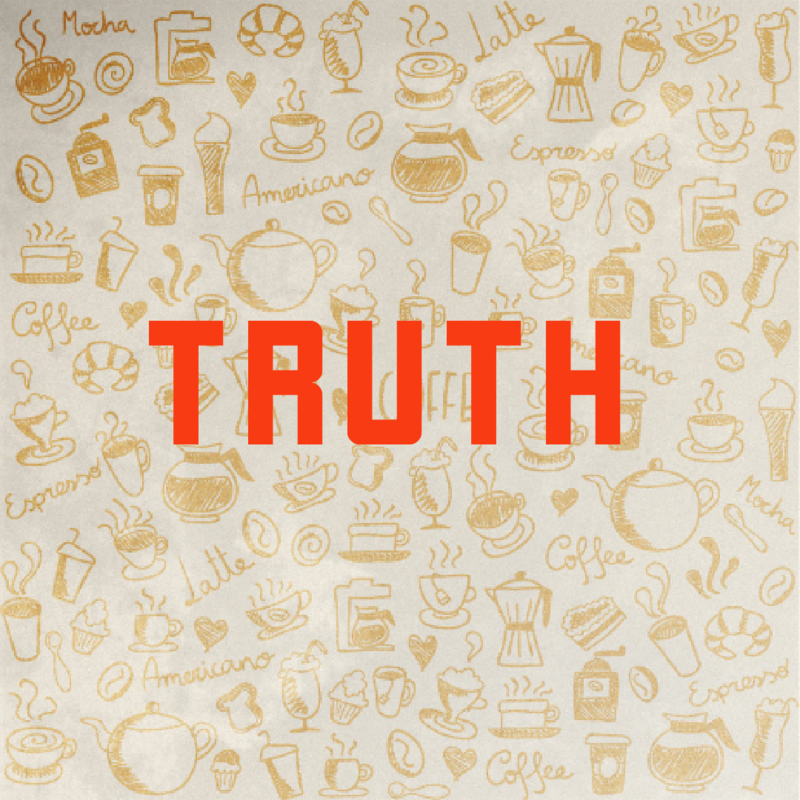 Now, appreciating truth is not about saying thank you when someone tells you the truth. It's not even about smiling or being happy when a person tells you the truth (a thing that would be fake and unnecessary if this truth hurts you or is bitter and painful). Appreciating truth is about recognition, in one's heart, of the enormousness and the strength of will it takes for a person to tell you the truth when he could easily have lied, especially on things you'd never have found out. It is about realizing the height a person has placed you when he tells you the truth, and giving due 'respect' to this placement. It is about recognizing the mark of trust given to you. It is also about returning the honour done to you by choosing too, to tell the truth. There are many ways people show appreciation for truth, all of which are subject to a person's personality. I can't say I always tell the truth. But I can say that I tell the truth most times to people who I know appreciate truth. My mother for instance, knows that many youths my age, who are in school could easily lie about their fees but knows I tell her the truth, of my own volition. She knows its the truth because I show her proof. She didn't require it at first. There was the same blind parent - child trust. It would have been so easy to do what most students do. And that does not mean I'm judging students who do what they do; I'm sure they all have their reasons. But I chose to tell her the truth. And in more ways than one, my mother has shown me how she deeply appreciates this fact. This appreciation has manifested in the way she talks to me, with a mark of respect for the things I say, with the mind set that I would not lie to her (not because I can not, but because I have had better chances to, but didn't). Also in my dealings here in school. Whenever she can, she takes care of my needs as quickly as she can afford; knowing I did not enjoy any extras from inflating my fees. And this has permeated into almost all spheres of our relationship. I'm not saying I'm a saint. I'm just saying that: ## I TOLD HER THE TRUTH BECAUSE I KNEW SHE WOULD APPRECIATE IT. 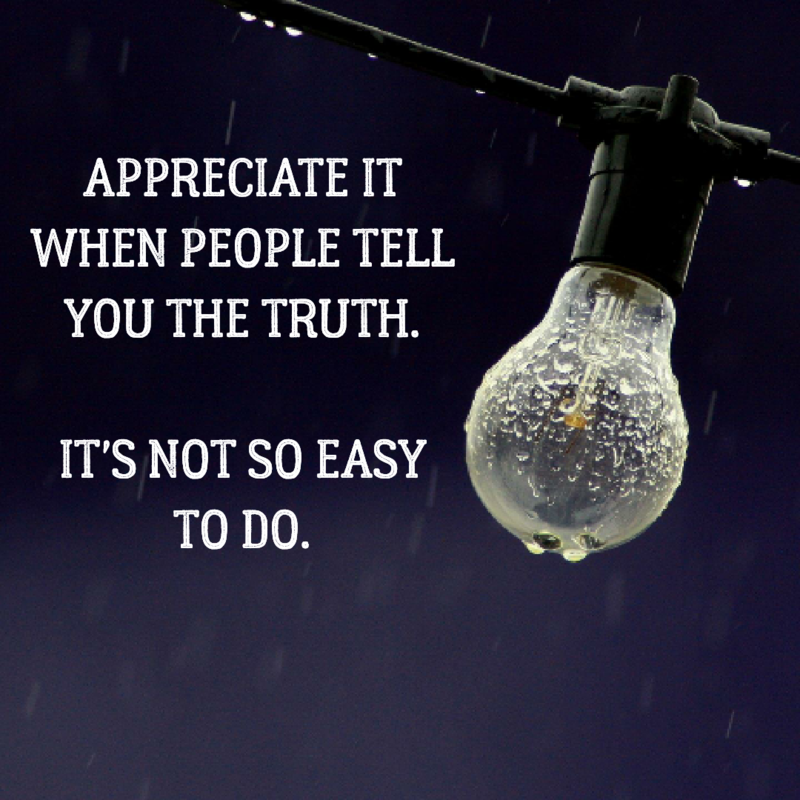 It doesn't take much to tell the truth to a person who would appreciate it. 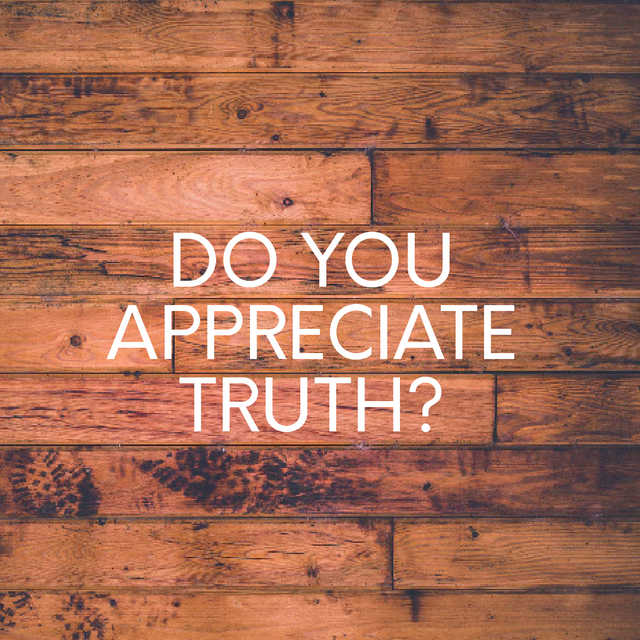 What we do to show our appreciation of truth is entirely up to us. What matters is that it is there, and it will express itself, whether in words or in action. I would not tell you the truth if I knew that all the effort would be wasted on your scorn and judgment. Does it mean that when a person does something wrong which deserves some level of reaction and/or punishment, and tells you the truth, you're supposed to simply abolish your reactions? Well that is up to you. Note, the fact that you have been told the truth does not make it hurt less,,or make the wounds go. It does not compulsorily elicit forgiveness. It does not mean the wrong was not committed. And 'acts have consequences', we're told. So yes; it is up to you. Whether you choose to forgive a wrong because you have been told the truth or not is for you to decide. But it does help to know you have been trusted with the truth (which is different from when one is forced to tell the truth), and that is something. One way my mother fostered this 'appreciation of truth' thing is this thing she used to do when I was younger. If I did something wrong and I told her the truth, she forgave me my crime or considerably lessened my punishment. This did not happen always, of course. But even on times when it didn't, I'd already had the knowledge that the truth was precious and would be appreciated when I told it. My mother made sure to let me know it was a brave thing to do - tell the truth, and in more than one remarks, made me know that she appreciated the fact that I went out of my way to tell her the truth, even if she'd already punished me. I wish we could learn from this, however we can. It is a complex world we're in. Truth does not come cheap and easy. If we can find a way to express to those people that matter to us, those people whose truths are precious to us, that we appreciate it when they tell us the truth, I am very positive, the truth would in no time, become their second nature.